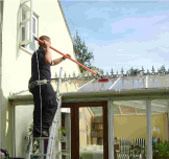 H2O Window Cleaning are specialists in conservatory roof cleaning, fascia and soffit cleaning and end of tenancy cleans. Your conservatory adds value to your home and regular cleaning can prevent fading and discolouration and therefore protect your investment. 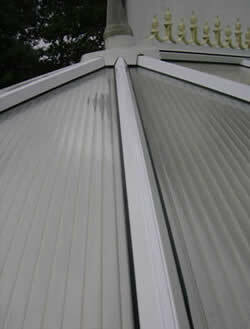 We offer both a regular service for conservatory cleans or a one off. Discounts available for a regular service. If you are interested please contact us for more information or an individual quotation today. Internal window cleaning does not cover UPVC cleaning unless specifically requested. There will be an extra charge for this. 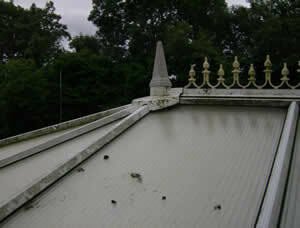 Many people replace their old wooden fascia and soffits with new UPVC, thinking that it is a maintenance free option. However, over time the dirt will build up and affect the appearance of your home. Fascias and soffits are an important part of the exterior of your home and as such should be well-maintained. Contact us for an individual quotation today. End of tenancy and one off window cleaning (exterior and interior) can be arranged at short notice. Contact us for an individual quotation today.